Search for the #dddesign hash tag →. Follow @DDDesignNews → and some of our community leaders such as @EricEvans0 →. There are many DDD related questions and discussions on Stack Overflow. Read and participate in an ongoing discussion of domain-driven design. Ask questions, answer questions, share discoveries. Join the Yahoo! Group. Meets every 1st Wednesday of the month at 6:30. Denver, Colorado Meetup Meets regularly (about monthly). Kraków DDD Meetup Meets every 1st Tuesday of the month. Register by becoming a member of the dddsverige google groups list and send a mail to the moderators. la comunità italiana dedicata a Domain Driven Design è aperta a chiunque sia interessato a discutere argomenti legati a DDD (o anche solo a trovare una parola di conforto, quando lo spaghetti-code sembra prevalere), le vostre idee e le vostre esperienze sono benvenute!. 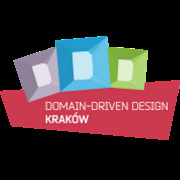 Discuss and learn about Domain-Driven Design in Spanish. Domain Driven Design group in Cairo is intended to be a base of professional Egyptian community for software designers, architects, and professionals interested in software design, specifically DDD. The Dutch DDD User Group Site is “under maintenance”. Group probably inactive. Anyone who knows, please let us know. Otherwise we will remove this one soon. Starting a group? Know of any other groups not listed here? Want to tell us more about your group? Let us know and we’ll post it here.